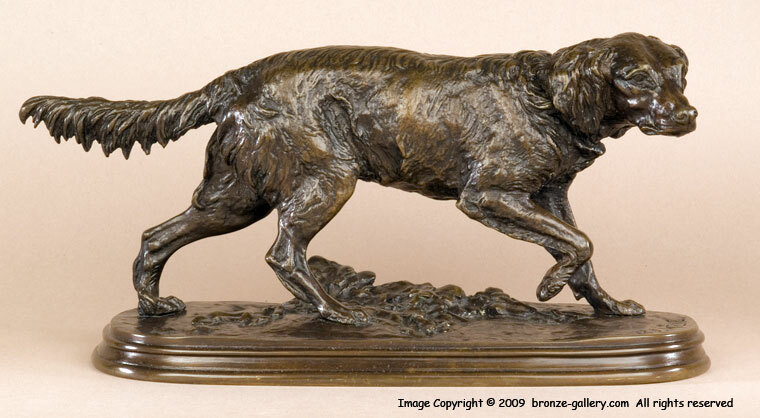 This model was first cast by Mene in 1840 and it is a portrait of the French Spaniel named Fabio. The French Spaniel is an ancient breed, very much like a Setter. Mene executed very few commissioned portraits of animals instead concentrating on the successful commercial business in sculpture that he had established. The rare examples of his portraits were always cast later in larger numbers and sold to his customers usually by placing a bird or rabbit in the dog's mouth. 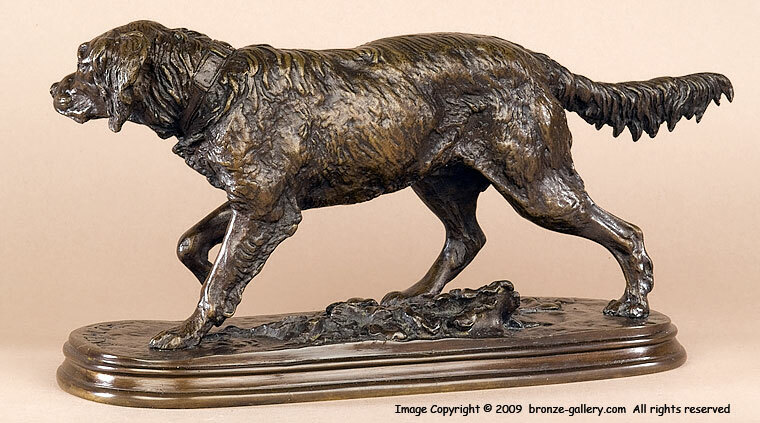 This model was produced commercially as a companion to his portrait of the Irish Setter Medor and they were both cast in the same sizes and facing each other. Our cast of Fabio has sharp detail and the rough coat of the dog is very textured, it has a rich brown patina. This sculpture is different in that it is the same portrait model that was commissioned by the dog's owner. 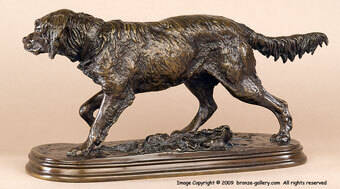 This bronze is pictured as a full page illustration in Les Animaliers by Jane Horswell on page 139.